Burwood Festival is burning into 2016 with a magnificent rock ‘n’ roll theme, ready to turn Burwood Park into an all out celebration of music, community and… vintage wheels. This year’s Burwood Festival marks the 25th Anniversary of the festival’s Classic Car Show, which brings motor heads from all over NSW to show off their hot rods. Also on the bill are high energy performances from Australian music legend, Angry Anderson, X-Factor sensation Johnny Ruffo and impersonations of rock era icons Elvis, Marilyn Monroe and the characters of Grease. Kids can enjoy a live performance from the lovable Kung Fu Panda, meet farmyard animals and get snaps with roaming performers. They can also make some music of their own at the Ukulele Workshop running all day, or have fun with friends on the assortment of fun park rides. So put on your blue suede shoes and groove down to Burwood Park between 10am-5pm on Sunday October 16th to take part in the Inner West’s biggest and most diverse community festival. “Please join us in Burwood Park as our vibrant community comes together to celebrate spring with some good old fashioned rock ‘n’ roll. Johnny Ruffo, once a concreter from WA, won the immediate adoration of X-Factor fans when he performed ‘I remember’ at the X-factor audition in 2011, going on to become a finalist. Since then he has emerged as a one man sensation, supporting One Direction, Back Street Boys, Salt ‘n’ Peppa and Guy Sebastian with his smooth singing style and even smoother dance moves. Johnny Ruffo added acting to his list of talents in 2013 when he landed himself a part in Home and Away as Chris. Later this year Johnny Ruffo will be featuring in Channel Nine miniseries House of Bond, about former WA businessman Alan Bond. 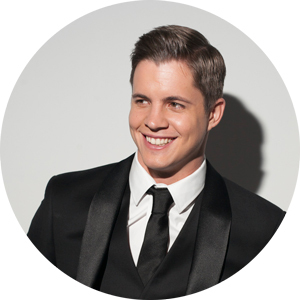 Johnny Ruffo is Burwood Festival’s headline act, and will be out and about after his performance to meet fans. Make your way to the main stage at 3.45pm to catch this triple threat in action. Rock ‘n’ roll is Burwood Fair’s theme this year, and we can be sure it’s rock we’re going to get, with a main stage performance from the original rock ‘n’ roll outlaw, Angry Anderson. Lead singer of Rose Tattoo, Angry Anderson has become a media presence and social advocate in his own right. In 1993 he was awarded a Member of the Order of Australia for his service to the community, particularly to young people, which he continues today. Prepare for growling vocals and a hard rock attitude as Anderson comes to Burwood with classic head bangers, ‘Scarred for Life’, ‘Bad Boy for Love’, as well as the hit ballad ‘Suddenly’. Angry Anderson will be gracing the main stage at 3.15pm. How could you have classic cars and not the king of rock and the queen of the screen? Yes, Elvis, Marilyn Monroe and the cast of Grease (or at least very convincing imitations) will be hitting Burwood Fair’s stage for your viewing pleasure. 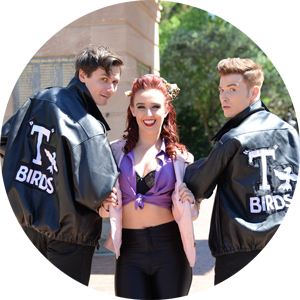 John “Elvis” Collins has been impersonating The King and entertaining the masses for over 20 years, Shaleena Bain is a professional singer with a soft spot for onscreen sirens, and the Grease crew is so convincing they’ll have you grooving in the park in no time. Slick your hair back and watch these rock ‘n’ roll icons perform between 1.40 – 2.45pm on the main stage.